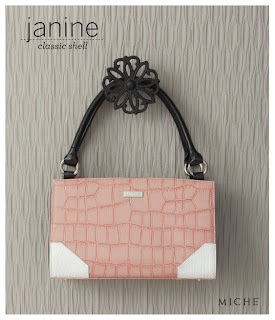 The Janine for Classic Bags offers a stunning contrast between the edginess of faux leather croc texture and the sweetness of salmon-pink color. Janine is as at home on a date to the corner ice cream shop as she is at a springtime gallery opening. Ultra-chic white corner details give this Shell even more high-style flair.